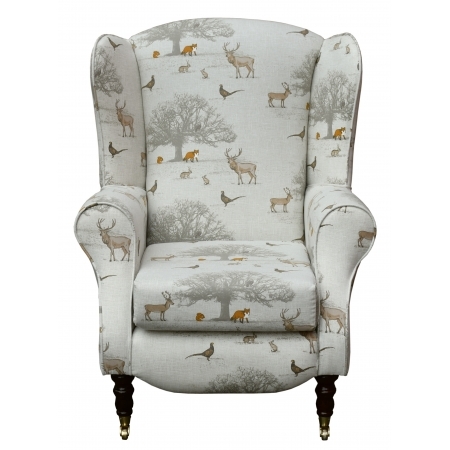 Duchess Chair in a matching pattern and plain Maida Vale Fabric, with castors to the front. 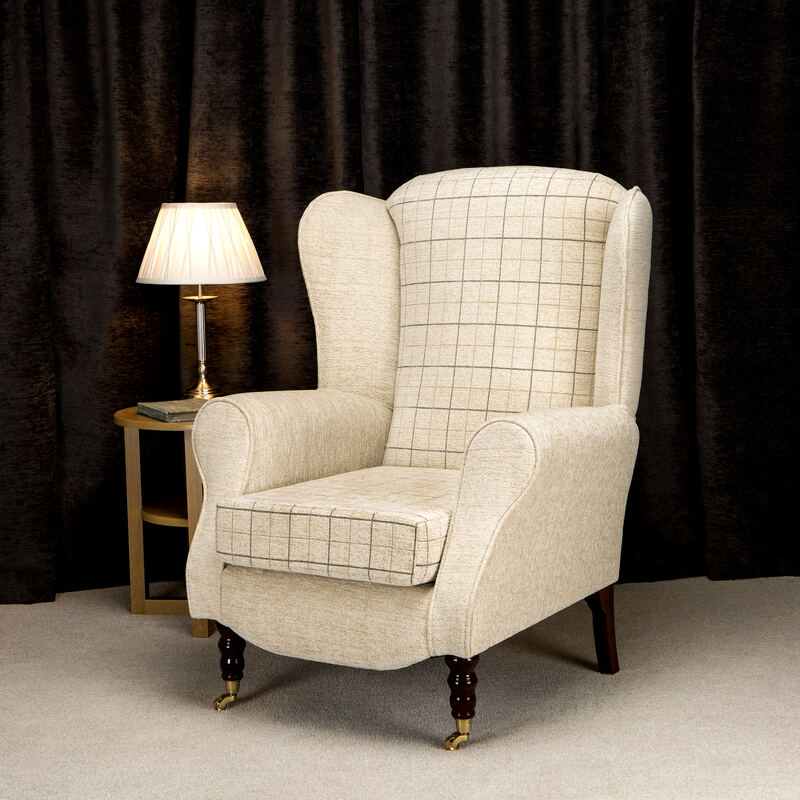 An excellent high quality fireside chair featuring a high quality fabric. Dimensions: Overall Height: 41" Overall Depth: 32" Overall Width: 32" Seat Height is set at 17.5" from floor Seat Width: 18" Seat Depth: 21.5"